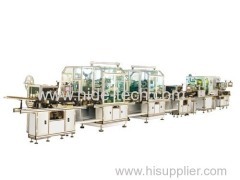 this automatic production line is suitable for armature mass production. 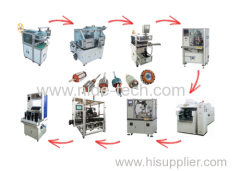 The auto rotor manufacturing line includes armature winding machine,commutator turning machine,armature rotor testing machine,armature spot welder. 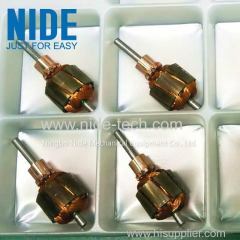 1.Used for manufacturing motor armature rotors (commutators can be hook or groove). All the process will be done by machine. Operator only needs to do loading and unloading. 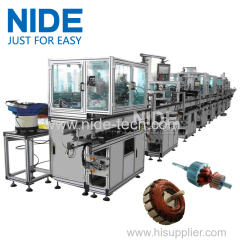 This rotor automatic production machine assembley line can be produced in two different process according to client's requirements. 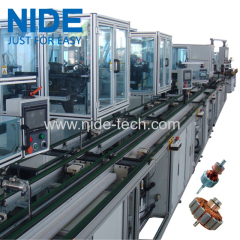 1.Fully automatic Electric Motor Armature Production Line. 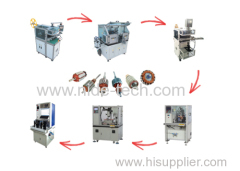 The rotor production machine can be customized as per different requirement. 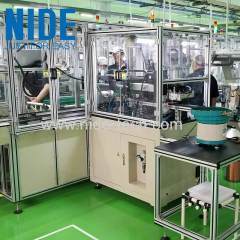 1.A fully automatic Electric Motor Production Line. 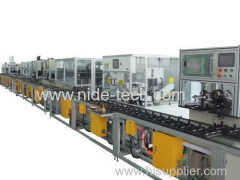 2.Equipped with different type of conveyor,nice appearance and uniform frame structure. Group of Armature automatic production line has been presented above, want more	Armature automatic production line and rotor assembly line, Please Contact Us.